This tree is on Tanque Verde near the China Bamboo restaurant. 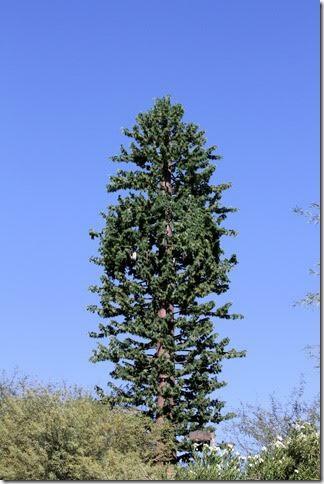 What's cool about this tree is that it isn't a tree at all - it is another VERY cleverly disguised cell tower. The technology for building towers that blend into the landscape is getting better all the time! We have palm trees and saguaros all around town that are functioning cell towers. So nice to keep the landscape looking "real" don't you think?